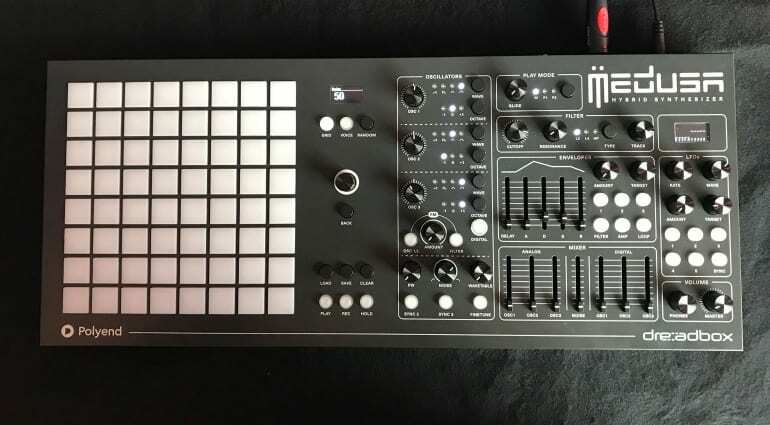 A couple of lovely looking images had surfaced on the internet about a week ago but now Dreadbox has announced the full details of the enticing collaboration between them and Polyend. Medusa is less of a scary snake-haired creature and more of a sedate, sleek and perfectly formed hybrid. I still can’t quite get over how different it looks from the original images of last year. 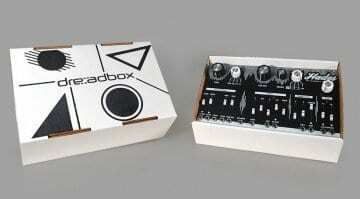 It’s definitely a departure for Dreadbox. I think perhaps the Polyend stylists got their way. And the result is completely stunning. So it’s a “Hybrid” synthesizer, combined analogue and digital oscillators, that grid of sequencing, let’s dig into the details. 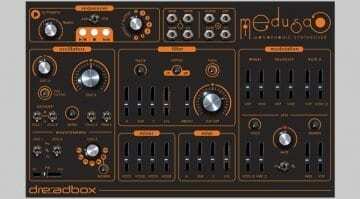 On the Dreadbox side Medusa consists of 3 analogue oscillators with 4 wave shapes, plus 3 digital wavetable oscillators. There are 5 loopable envelopes and 5 LFOs for modulation. A multi-mode analogue filter is on sculpting duty and there is an FM input on both oscillator and filter separately. 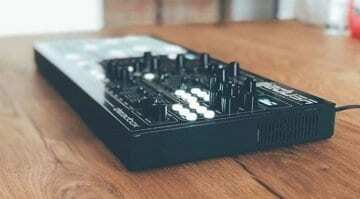 A mixer lets you blend all 6 oscillators plus a 7th channel for noise. An OLED screen holds all the synthesis data. It has three play modes – monophonic, and then paraphonic in 3 or 6 voices. Presumably, the oscillators configure themselves appropriately to the modes. So you can have one big fat 6 oscillator mono patch or more versatile 6 voices with an oscillator each. Hopefully, this will become a bit clearer as demos appear. On the Polyend side, we have an unexpected grid of 64 three dimensional expression pads. There are three sequencing modes – step, live and incremental. The grid allows you to sequence notes but also plays with parameters and modulation. 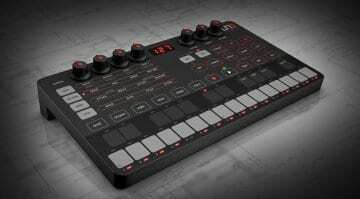 Each step can contain note information, synth voice presets, parameter data and modulation. There’s “Advanced voice and sequence randomization onboard”. And a nice crisp OLED screen. I’m honestly really excited by the Medusa while being slightly frustrated by the strangely sparse information being offered at launch. Update: Video below! There seems to be MIDI implemented but no information of CV/Gate. There are no patch points on the front panel. And how does it sound! It will cost €999 and should be available in the summer. Superbooth 2018: IK Multimedia UNO First Demo!